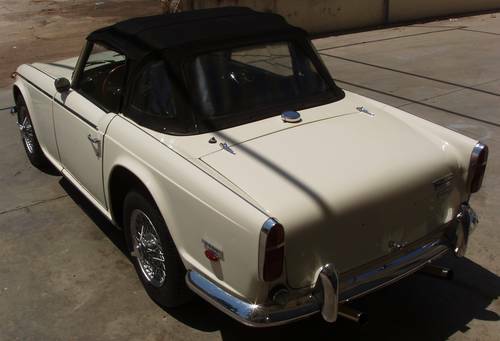 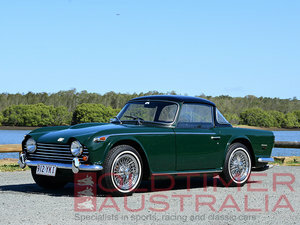 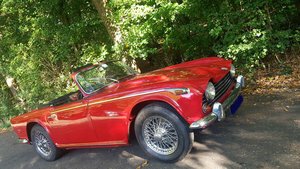 This is an original 1965 TR4A IRS delivery from Triumph to Greece. 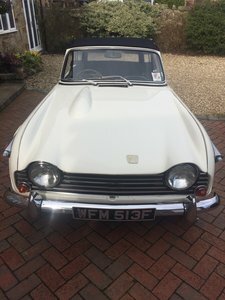 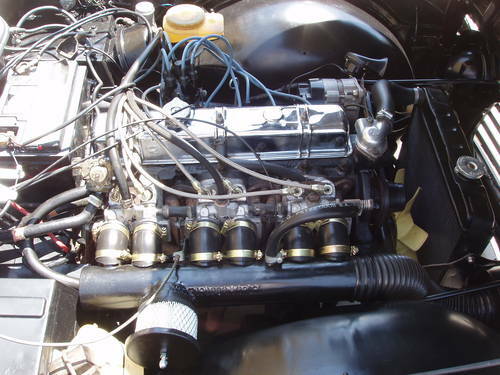 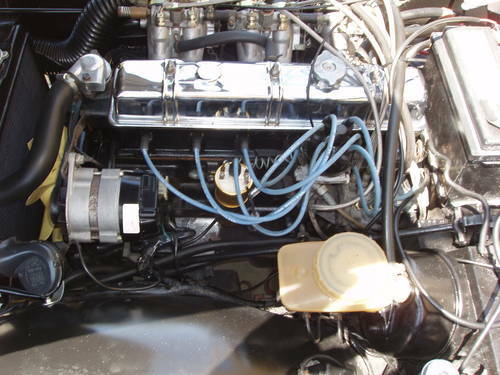 During the late 80s, it was converted to TR5 specs which included fitting a correctly designated ‘CP’ TR5/TR6 Petrol Injection engine with a 516323 head. 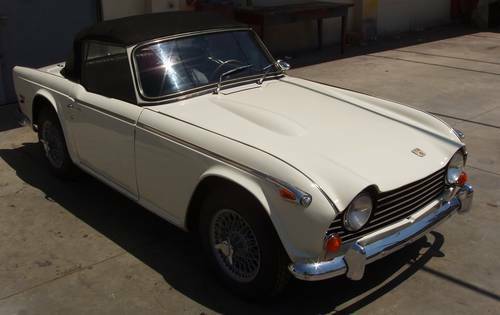 Concurrently the body was restored, stripped of the old blue finish and resprayed in Old English White. 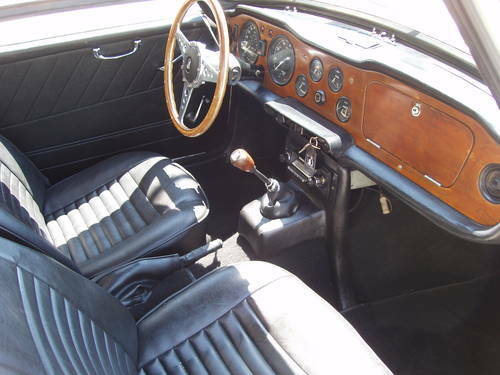 The interior was retrimmed in black leatherette.